Get ready for spring gardening at J&N Feed and Seed. Our greenhouse is stocked full of onion sets, seed potatoes, and cold weather crops ready for your garden. 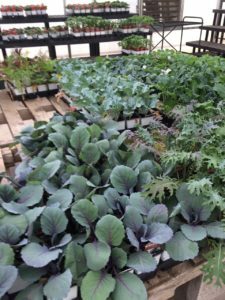 Our cool-weather crops, such as lettuces, cabbage, broccoli, and cauliflower, can be planted now. 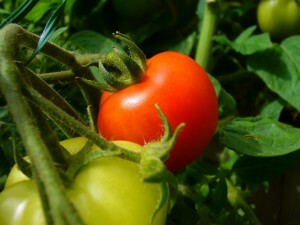 Look for tomatoes to arrive late March or early April. It’s a little early to get your tomatoes in the ground, but with the warm winter we’ve had, you may be okay planting earlier in the season. In order to get a nice summer harvest, we recommend getting cold weather plants in the ground by mid to late March and tomatoes following in early April. The average date of the last killing freeze in North Texas is March 13th. The weeks after that will be the best planting times. Use these next couple of weeks to prepare your garden beds and get the ground ready for planting. Working in soil amendments and natural compost can help give your tired soil the much-needed nutrient boost it needs. Stop by J&N Feed and Seed for all your gardening needs. 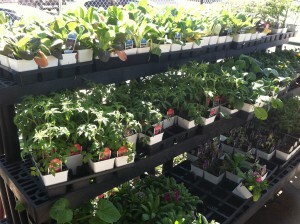 We’ve got a greenhouse full of herbs and veggies and various packaged garden seeds! 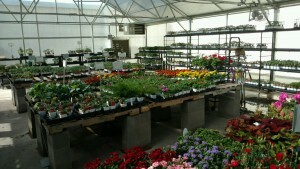 Stop by our greenhouse and let’s get this garden started! Keep your newly planted trees and shrubs hydrated with Treegator Slow Release Watering Bags. With the scorching summer temperatures here to stay, it’s important to water effectively to keep trees and shrubs hydrated. J&N Feed and Seed proudly stock the Treegator® Original Slow Release Watering Bag. Treegator delivers water directly to your plant for 100% absorption and no run-off. 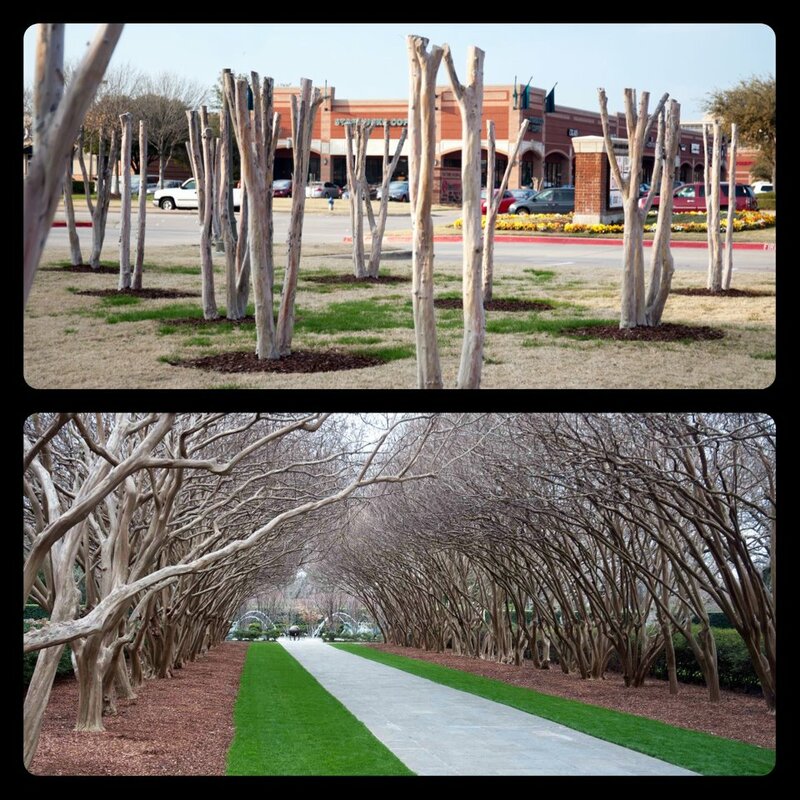 Pick up a couple of Treegators today and save your beautiful trees and shrubs from the Texas drought. Fill just 1 to 2 times per week for most new tree plantings. Continuously waters for up to 9 hours via two release points. Quick and easy to install – Just zip, fill, and walk away. Provides 100% water absorption with no run-off or evaporation. With our Texas temperatures heating up, J&N Feed and Seed is working to find low volume watering products that will help conserve water and provide an effective way to keep your landscape alive. 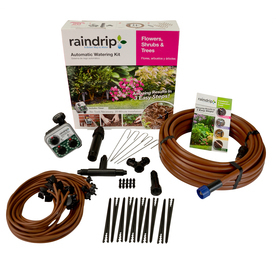 We are now stocking Raindrip Automatic Watering System kits. These low volume, drip irrigation kits, are customized for different areas of your landscape and garden and can convert your sprinkler system to a drip irrigation system. Installing a drip irrigation system is simple. The Raindrip Automatic Watering Systems are simple to use drip watering kit that waters flowers, shrubs, and trees in your landscape areas (not for lawn use). They’re water efficient, simple to install and most* include a battery-operated timer so you can set your system to water automatically. Click here to read more about Raindrip Watering Kits. Water up to 75 plants at once with Raindrip add-on products. Pick up a kit today at J&N Feed and Seed. 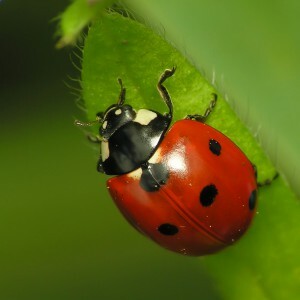 J & N Feed and Seed can special order a variety of “beneficial insects” to help clean up garden pests. These insects are an excellent, non-chemical way to help control pests in your garden or landscaping. Lady Bug Beetles are excellent aphid predators. They will also feed on whiteflies, mites, and other scale insects. Beneficial Nematodes control pests that develop in soil. An effect way to control fire ants, termites, grubs and more. Praying Mantis eat a wide variety of insects including aphids, mosquitoes, caterpillars, beetles, grasshoppers and crickets. There isn’t much these bugs won’t eat. Trichogramma Wasps are effective in controlling webworms, canker worms, tent caterpillars and other vegetarian worms. Stop by our store to order any of natures fab four and control pests in your garden this summer. We love spring time at J&N Feed and Seed because it means time for garden planting, fertilizing, and preparing for the bloom of wonderful veggies, flowers and much more. Stock up on potting soil and mulch too! Know your soil. Most soil can be enriched with compost and be fine for planting, but some soil needs more help. Check with us at J&N Feed and Seed. We carry a variety of different types of soils and we can help you find the best match for your growing needs. Decide between tilling and a raised bed. If you have poor soil or a bad back, a raised bed built with non-pressure-treated wood offers many benefits. We carry Yellawood Landscape Timbers, perfect for a raised bed. Vegetables and fruits need lots of water, at least 1 inch of water a week. Make sure you have a good irrigation or watering system. IF you have a spot that is in full sun, consider an Olla irrigation pot, sold right here at J&N. For more information on gardening, come visit us at J&N Feed and Seed. We love spring time at J&N Feed and Seed because it means time for planting, fertilizing, and preparing for the bloom of wonderful veggies, flowers and much more. In order to understand how Hydretain Works, you must first understand the mechanism of drought. Simply put, when water is applied through rainfall or irrigation, a huge percentage is never utilized by the plant. This is due primarily to the forces of gravity pulling moisture back to the aquifer and evaporation pulling moisture into the atmosphere. While we can do little about gravity, we can prevent most of the evaporative loss. When there is adequate liquid water in the soil, Hydretain essentially lies dormant and serves no real purpose. It is when this liquid water is depleted and only water vapor remains in the soil matrix that Hydretain’s benefits can be seen. Plants cannot use vapor, so Hydretain was engineered to capture it and collect it back into minute liquid droplets that sustain plants between waterings.